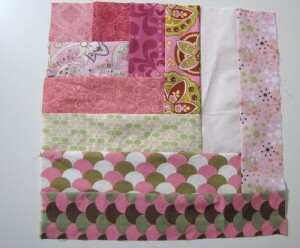 Other Pretty in Pink posts: April Wonky Stars, May Nine Patches With Crosses, June Wonky Log Cabins, July Tic Tac Toe. I’m actually getting my August bee blocks done in August!! Okay, so I’ve got this bee down and 2 to go with 5 days left in the month. Think positive! 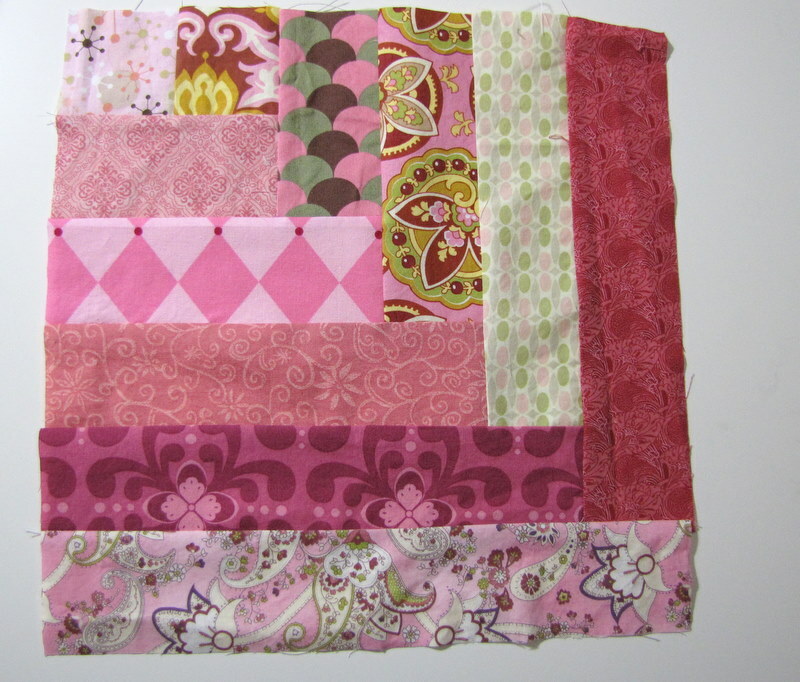 I really liked Angela’s fabrics, and I’ve decided that sewing 2.5″ strips together is very relaxing. 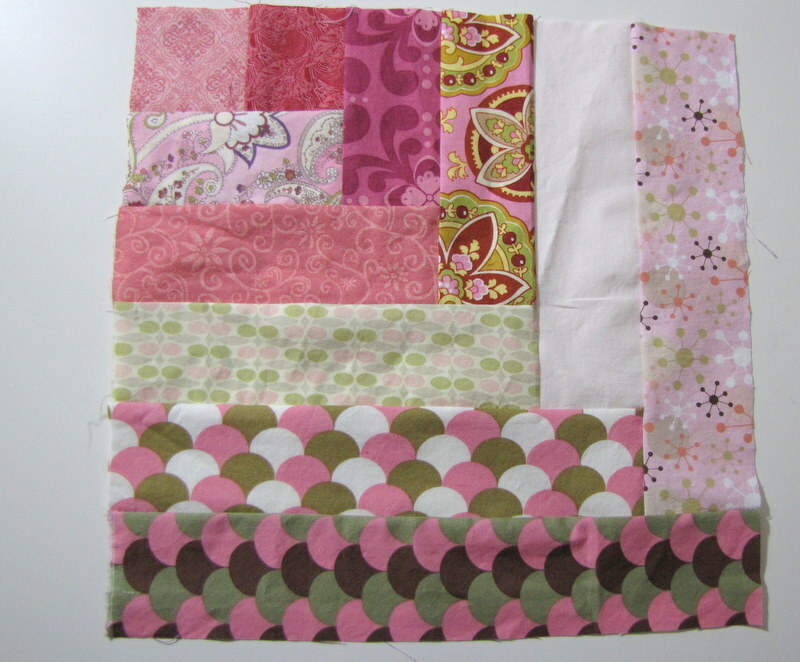 But she was worried about getting the blocks 12.5″ square, and I have to admit I couldn’t get them there. 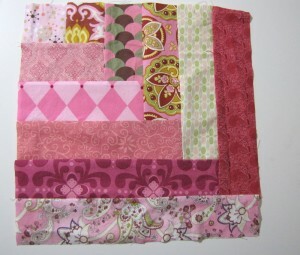 I tried to be as skimpy on my seam allowances as I could, but I just couldn’t get them much past 12.25″ on either block. I tried! So I hope I’m not the only person who had this problem.